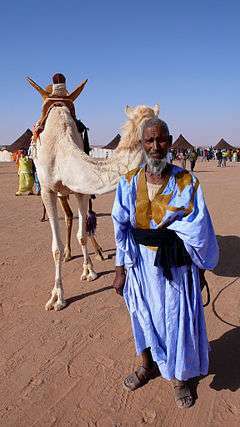 The term Moors refers to the Muslim inhabitants of the Maghreb, North Africa, the Iberian Peninsula, Sicily, and Malta during the Middle Ages, who initially were Berber and Arab peoples from North Africa. Moors are not a distinct or self-defined people, and mainstream scholars observed in 1911 that "The term 'Moors' has no real ethnological value." Medieval and early modern Europeans variously applied the name to Arabs, Berber North Africans and Muslim Europeans. The term has also been used in Europe in a broader, somewhat derogatory sense to refer to Muslims in general, especially those of Arab or Berber descent, whether living in Spain or North Africa. During the colonial era, the Portuguese introduced the names "Ceylon Moors" and "Indian Moors" in Sri Lanka, and the Bengali Muslims were also called Moors. 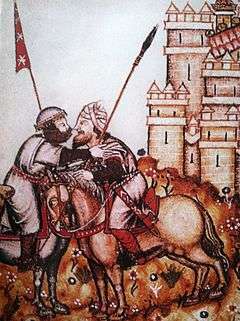 In 711, troops mostly formed by Moors from North Africa led the Umayyad conquest of Hispania. The Iberian peninsula then came to be known in classical Arabic as Al-Andalus, which at its peak included most of modern-day Spain, Portugal, and Septimania. In 827, the Moors occupied Mazara on Sicily, developing it as a port. They eventually consolidated the rest of the island and some of southern Italy. 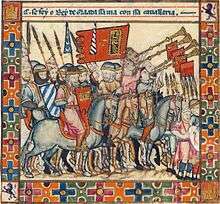 Differences in religion and culture led to a centuries-long conflict with the Christian kingdoms of Europe, which tried to reclaim control of Muslim areas; this conflict was referred to as the Reconquista. In 1224 the Muslims were expelled from Sicily to the settlement of Lucera, which was destroyed by European Christians in 1300. During the classical period, the Romans interacted with, and later conquered, parts of Mauretania, a state that covered modern northern Morocco, western Algeria, and the Spanish cities Ceuta and Melilla. The Berber tribes of the region were noted in Classical literature as Mauri, which was subsequently rendered as "Moors" in English and in related variations in other European languages. Mauri (Μαῦροι) is recorded as the native name by Strabo in the early 1st century. This appellation was also adopted into Latin, whereas the Greek name for the tribe was Maurusii (Μαυρούσιοι). 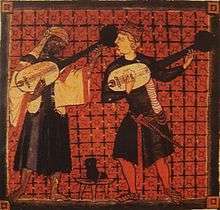 In medieval Romance languages, variations of the Latin word for the Moors (for instance, Italian and Spanish: moro, French: maure, Portuguese: mouro, Romanian: maur) developed different applications and connotations. 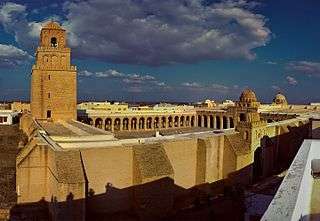 The term initially denoted a specific Berber people in western Libya, but the name acquired more general meaning during the medieval period, associated with "Muslim", similar to associations with "Saracens". During the context of the Crusades and the Reconquista, the term Moors included the derogatory suggestion of "infidels." In modern, colloquial Portuguese, the term Mouro was primarily used as a designation for North Africans and secondarily as a derogatory and ironic term by northern Portuguese to refer to the inhabitants of the southern parts of the country (Lisbon, Alentejo, and Algarve). However, this designation has gained more acceptance in the south. Moreno can mean dark-skinned in Spain, Portugal, Brazil, and the Philippines. Also in Spanish, morapio is a humorous name for "wine", especially that which has not been "baptized" or mixed with water, i.e., pure unadulterated wine. Among Spanish speakers, moro came to have a broader meaning, applied to both Filipino Moros from Mindanao, and the moriscos of Granada. Moro refers to all things dark, as in "Moor", moreno, etc. It was also used as a nickname; for instance, the Milanese Duke Ludovico Sforza was called Il Moro because of his dark complexion. In Portugal, mouro (feminine, moura) may refer to supernatural beings known as enchanted moura, where "moor" implies 'alien' and 'non-Christian'. These beings were siren-like fairies with golden or reddish hair and a fair face. They were believed to have magical properties. From this root, the name moor is applied to unbaptized children, meaning not Christian. In Basque, mairu means moor and also refers to a mythical people. The Goan Muslims — a minority community who follow Islam in the western Indian coastal state of Goa — are commonly referred as Moir (Konkani: मैर) by Goan Catholics and Hindus. [a] Moir is derived from the Portuguese word mouro (Moor). During the late 7th and early 8th centuries, the Muslim caliphate, established after the death of Muhammad, underwent a period of rapid expansion. In 647, 40,000 Arabs forced the Byzantine governor of North Africa to submit and pay tribute, but failed to permanently occupy the region. After an interlude, during which the Muslims fought a civil war, the invasions resumed in 665, seizing Byzantine North Africa up to Bugia over the course of a series of campaigns, lasting until 689. A Byzantine counterattack largely expelled the Arabs but left the region vulnerable. Intermittent war over the inland provinces of North Africa continued for the next two decades. Further civil war delayed the continuation of further conquest, but an Arab assault took Carthage and held it against a Byzantine counterattack. Although a Christian and pagan Berber rebellion pushed out the Arabs temporarily, the Romanized urban population preferred the Arabs to the Berbers and welcomed a renewed and final conquest that left North Africa in Muslim hands by 698. Over the next decades, the Berber and urban populations of North Africa gradually converted to Islam, although for separate reasons. The Arabic language was also adopted. Initially, the Arabs required only the subordination of these peoples rather than their assimilation, a process which took a considerable time. The groups that inhabited the Maghreb following this process became known collectively as Moors. Although the Berbers would later expel their Arab overlords from the Maghreb and form temporarily independent states, that effort failed to dislodge the usage of the collective term. In 711 the Islamic Moors of Arab and Berber descent in North Africa crossed the Strait of Gibraltar onto the Iberian Peninsula, and in a series of raids they conquered Visigothic Christian Hispania. Their general, Tariq ibn Ziyad, brought most of Iberia under Islamic rule in an eight-year campaign. They continued northeast across the Pyrenees Mountains but were defeated by the Franks under Charles Martel at the Battle of Tours in 732. The language spoken in the parts of the Iberian Peninsula under Muslim rule was Andalusian Arabic; it became extinct after the expulsion of the Moriscos, but Arabic language influence on the Spanish language can still be found today. The Muslims were resisted in parts of the Iberian Peninsula in areas of the northwest (such as Asturias, where they were defeated at the battle of Covadonga) and the largely Basque Country in the Pyrenees. 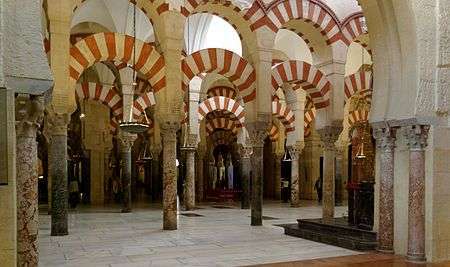 Though the number of Moorish colonists was small, many native Iberian inhabitants converted to Islam. By 1000, according to Ronald Segal, some 5,000,000 of Iberia's 7,000,000 inhabitants, most of them descended from indigenous Iberian converts, were Muslim. There were also Sub-Saharan Africans who had been absorbed into al-Andalus to be used as soldiers and slaves. The Berber and Sub-Saharan African soldiers were known as "tangerines" because they were imported through Tangier. The Kingdom of Asturias, a small northwestern Christian Iberian kingdom, initiated the Reconquista ("Reconquest") soon after the Islamic conquest in the 8th century. Christian states based in the north and west slowly extended their power over the rest of Iberia. The Kingdom of Navarre, the Kingdom of Galicia, the Kingdom of León, the Kingdom of Portugal, the Kingdom of Aragon, the Marca Hispánica, and the Crown of Castile began a process of expansion and internal consolidation during the next several centuries under the flag of Reconquista. 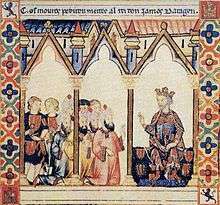 In 1212, a coalition of Christian kings under the leadership of Alfonso VIII of Castile drove the Muslims from Central Iberia. The Portuguese side of the Reconquista ended in 1249 with the conquest of the Algarve (Arabic: الغرب‎‎ – al-Gharb) under Afonso III. He was the first Portuguese monarch to claim the title "King of Portugal and the Algarve". The first Muslim conquest of Sicily began in 827, though it was not until 902 that almost the entire island was in the control of the Aghlabids, with the exception of some minor strongholds in the rugged interior. During that period some parts of southern Italy fell under Muslim control, most notably the port city of Bari, which formed the Emirate of Bari from 847-871. In 909 the Aghlabid dynasty was replaced by Shiite Fatimids. Four years later, the Fatimid governor was ousted from Palermo when the island declared its independence under Emir Ahmed ibn-Kohrob. The language spoken in Sicily under Muslim rule was Siculo-Arabic. In 1038, a Byzantine army under George Maniaces crossed the strait of Messina. 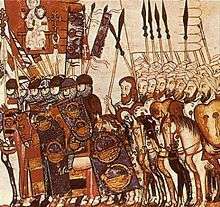 This army included a corps of Normans that saved the situation in the first clash against the Muslims from Messina. After another decisive victory in the summer of 1040, Maniaces halted his march to lay siege to Syracuse. Despite his success, Maniaces was removed from his position, and the subsequent Muslim counter-offensive reconquered all the cities captured by the Byzantines. 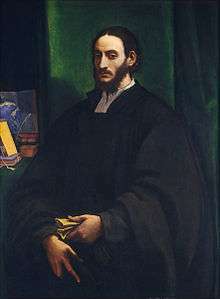 The Norman Robert Guiscard, son of Tancred, invaded Sicily in 1060. The island was split between three Arab emirs, and the Christian population in many parts of the island rose up against the ruling Muslims. One year later, Messina fell, and in 1072 Palermo was taken by the Normans. The loss of the cities, each with a splendid harbor, dealt a severe blow to Muslim power on the island. Eventually all of Sicily was taken. In 1091, Noto in the southern tip of Sicily and the island of Malta, the last Arab strongholds, fell to the Christians. Islamic authors noted the tolerance of the Norman kings of Sicily. Ibn al-Athir wrote: "They [the Muslims] were treated kindly, and they were protected, even against the Franks. Because of that, they had great love for King Roger." The Muslim problem characterized Hohenstaufen rule in Sicily under Holy Roman Emperors Henry VI and his son Frederick II. Many repressive measures were introduced by Frederick II to please the popes, who were intolerant of Islam in the heart of Christendom. This resulted in a rebellion by Sicilian Muslims, which in turn triggered organized resistance and systematic reprisals and marked the final chapter of Islam in Sicily. The complete eviction of Muslims and the annihilation of Islam in Sicily was completed by the late 1240s when the final deportations to Lucera took place. Moorish architecture is the articulated Islamic architecture of North Africa and parts of Spain and Portugal, where the Moors were dominant between 711 and 1492. The best surviving examples are La Mezquita in Córdoba and the Alhambra palace in Granada (mainly 1338–1390), as well as the Giralda in Seville (1184). Other notable examples include the ruined palace city of Medina Azahara (936–1010), the church (former mosque) San Cristo de la Luz in Toledo, the Aljafería in Saragossa and baths at for example Ronda and Alhama de Granada. 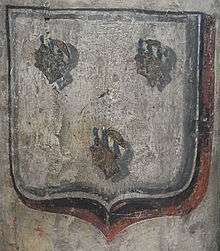 Armigers bearing moors or moors' heads may have adopted them for any of several reasons, to include symbolizing military victories in the Crusades, as a pun on the bearer's name in the canting arms of Morese, Negri, Saraceni, etc., or in the case of Frederick II, possibly to demonstrate the reach of his empire. The arms of Pope Benedict XVI feature a moor's head, crowned and collared red, in reference to the arms of Freising, Germany. In the case of Corsica and Sardinia, the blindfolded moors' heads in the four quarters have long been said to represent the four Moorish emirs who were defeated by Peter I of Aragon in the 11th century, the four moors' heads around a cross having been adopted to the arms of Aragon around 1281–1387, and Corsica and Sardinia having come under the dominion of the king of Aragon in 1297. In Corsica, the blindfolds were lifted to the brow in the 18th century as a way of expressing the island's newfound independence. Populations in Carthage circa 200 BC and northern Algeria 1500 BC were diverse. As a group, they plotted closest to the populations of Northern Egypt and intermediate to Northern Europeans and tropical Africans: "the data supported the comments from ancient authors observed by classicists: everything from fair-skinned blonds to peoples who were dark-skinned 'Ethiopian' or part Ethiopian in appearance." Modern evidence shows a similar diversity among present North Africans. Moreover, this diversity of phenotypes and peoples was probably due to in situ differentiation, not foreign influxes. Foreign influxes are thought to have affected population make-up, but did not replace the indigenous Berber population. The title character in William Shakespeare's play Othello, and the derived title character in Verdi's opera "Otello", is a Moor. The character has been played by various thespians in different forms of entertainment. A less well-known Moorish character, Aaron, appears in Shakespeare’s earlier tragedy "Titus Andronicus." The 2009 documentary film, Journey to Mecca, follows the travels of the Moorish explorer Ibn Battuta from his native country of Morocco to Mecca for the Hajj in 1325. Abbas ibn Firnas, 810–887, Berber inventor and aviator who invented an early parachute and made the first attempt at controlled flight with a hang glider. 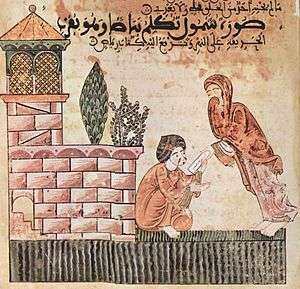 Al-Zahrawi (Abulcasis), Andalusian physician and surgeon who established the discipline of surgery as a profession with his Al-Tasrif in 1000. Artephius, circa 1126, Andalusian scientist known as the author of numerous works of Alchemical texts, now extant only in Latin. 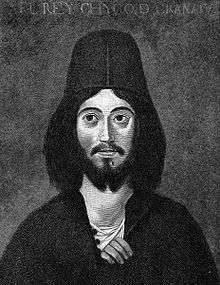 Ibn Tufail, circa 1105–1185, Arabic writer and polymath who wrote Hayy ibn Yaqdhan, the first philosophical novel. Averroes (Ibn Rushd), 1126–1198, classical Islamic philosopher and polymath who wrote The Incoherence of the Incoherence and the most extensive Aristotelian commentaries, and established the school of Averroism. Musa I of Mali (c. 1280 – c. 1337) was a devout Muslim, and his pilgrimage to Mecca (a duty ordained by Allah, according to Islam) made him well-known across northern Africa and the Middle East. Ibn Khaldun, a pioneer of the social sciences and forerunner of sociology, historiography and economics, who wrote the Muqaddimah in 1377. Abu Bakr II (fl. 14th century), abdicated his throne in order to explore "the limits of the ocean". 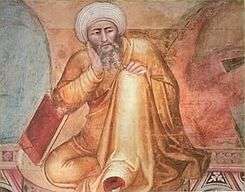 Abū al-Hasan ibn Alī al-Qalasādī, 1412–1486, Moorish mathematician who took the first steps toward the introduction of algebraic symbolism. ↑ Blackmore, Josiah (2009). Moorings: Portuguese Expansion and the Writing of Africa. U of Minnesota Press. pp. xvi, 18. ISBN 978-0-8166-4832-0. ↑ John Randall Baker. "Race". Oxford University Press: 226. Retrieved March 12, 2014. In one sense the word 'Moor' means Mohammedan Berbers and Arabs of North-western Africa, with some Syrians, who conquered most of Spain in the 8th century and dominated the country for hundreds of years. ↑ "Assessment of the status, development and diversification of fisheries-dependent communities: Mazara del Vallo Case study report" (PDF). European Commission. 2010. p. 2. Retrieved 28 September 2012. In the year 827, Mazara was occupied by the Arabs, who made the city an important commercial harbour. That period was probably the most prosperous in the history of Mazara. ↑ Diderot, Denis (1752). Ceuta. p. 871. ↑ "Online Etymology Dictionary". Etymonline.com. Retrieved 2014-05-12. ↑ Simms, Karl (1997). Translating sensitive texts: linguistic aspects. Rodopi. p. 144. ISBN 978-90-420-0260-9. ↑ Warwick Armstrong, James Anderson (2007). Geopolitics of European Union enlargement: the fortress empire. Routledge. p. 83. ISBN 978-0-415-33939-1. ↑ Wessendorf, Susanne (2010). The multiculturalism backlash: European discourses, policies and practices. Taylor & Francis. p. 171. ISBN 978-0-415-55649-1. ↑ Tariq Modood, Anna Triandafyllidou, Ricard Zapata-Barrero (2006). Multiculturalism, Muslims and citizenship: a European approach. Routledge. p. 143. ISBN 978-0-415-35515-5. ↑ Bekers, Elisabeth (2009). Transcultural modernities: narrating Africa in Europe. Rodopi. p. 14. ISBN 978-90-420-2538-7. ↑ Rodney Gallop, Portugal: A Book of Folkways, Cambridge University Press (CUP), 1936; reprint CUP Archives, 1961, Googlebooks, accessed 12 Jul 2010. ↑ Euskadi.net (Spanish) Archived November 4, 2014, at the Wayback Machine. ↑ A. Hussein 'From where did the moors come from? ↑ Fletcher, Richard A. (2006). Moorish Spain. University of California Press. p. 1. ISBN 978-0-520-24840-3. ↑ Richard A. Fletcher. Moorish Spain. University of California Press. p. 20. ↑ Salma Khadra Jayyusi, Manuela Marín (April 14, 2014). The Legacy of Muslim Spain. Brill Publishers. pp. 125, 365, and 463. ↑ Richard A. Fletcher. Moorish Spain. University of California Press. p. 61. 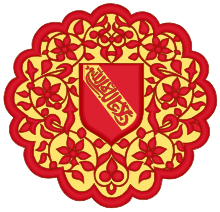 ↑ See History of Al-Andalus. ↑ Adams et al., "The Genetic Legacy of Religious Diversity and Intolerance: Paternal Lineages of Christians, Jews, and Muslims in the Iberian Peninsula", Cell, 2008. Quote: "Admixture analysis based on binary and Y-STR haplotypes indicates a high mean proportion of ancestry from North African (10.6%) ranging from zero in Gascony to 21.7% in Northwest Castile." ↑ Elena Bosch, "The religious conversions of Jews and Muslims have had a profound impact on the population of the Iberian Peninsula", Universitat Pompeu Fabra, 2008, Quote: "The study shows that religious conversions and the subsequent marriages between people of different lineage had a relevant impact on modern populations both in Spain, especially in the Balearic Islands, and in Portugal." ↑ Aubé, Pierre (2006). Les empires normands d’Orient. Editions Perrin. p. 168. ISBN 2-262-02297-6. ↑ Pevsner, The Penguin Dictionary of Architecture. ↑ Parker, James. "Man". A Glossary of Terms Used in Heraldry. Retrieved 2012-01-23. 1 2 3 "Africans in medieval & Renaissance art: the Moor's head". Victoria and Albert Museum. Retrieved 2012-01-23. ↑ Mons. Andrea Cordero Lanza di Montezemolo. "Coat of Arms of His Holiness Benedict XVI". The Holy See. Retrieved 2013-01-25. ↑ Sache, Ivan (2009-06-14). "Corsica (France, Traditional province)". Flags of the World. Retrieved 2013-01-25. ↑ Curry, Ian (2012-03-18). "Blindfolded Moors - The Flags of Corsica and Sardinia". Vaguely Interesting. Retrieved 2013-01-25. ↑ In his July 15, 2005 blog article "Is that a Moor's head? ", Mathew N. Schmalz refers to a discussion on the American Heraldry Society's website where at least one participant described the moor's head as a "potentially explosive image". ↑ "Part IX: Offensive Armory". Rules for Submissions of the College of Arms of the Society for Creative Anachronism, Inc. 2008-04-02. Retrieved 2012-01-23. ↑ G. Mokhtar. General History of Africa: Ancient Civilizations of Africa, p. 427. ↑ Keita, S. O. Y. (1990). "Studies of ancient crania from northern Africa". American Journal of Physical Anthropology. 83 (1): 35–48. doi:10.1002/ajpa.1330830105. PMID 2221029. ↑ Furtado, A. D. (1981). Goa, yesterday, to-day, tomorrow: an approach to various socio-economic and political issues in Goan life & re-interpretation of historical facts. Furtado's Enterprises. pp. 254 pages(page xviii).